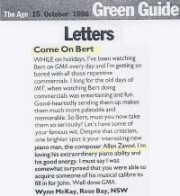 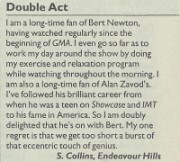 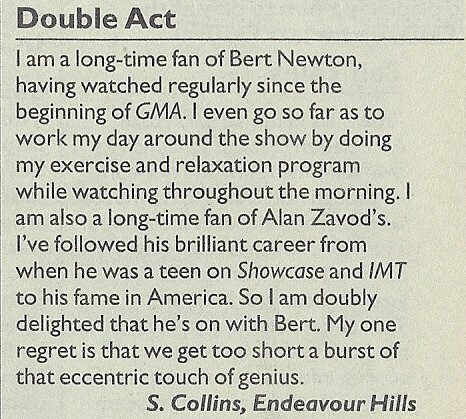 Allan Zavod was the Music Director for a period of time on the Good Morning Australia show with Bert Newton in 1998. 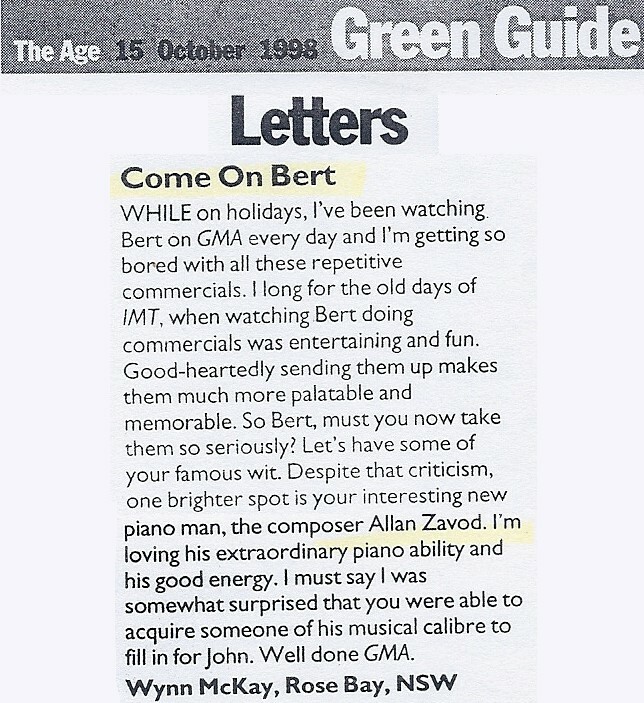 In 1998, Allan was the Music Director for a period of time on the Good Morning Australia show with Bert Newton. 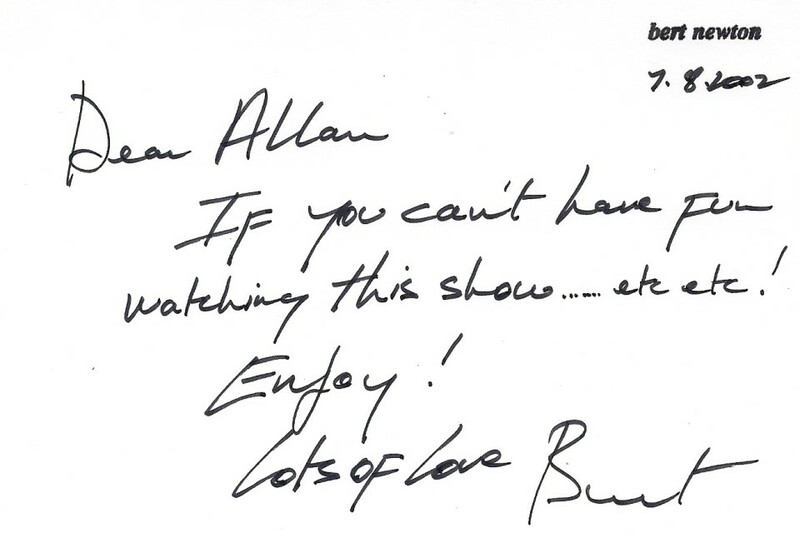 This letter was a thank you to Allan for a job well done. 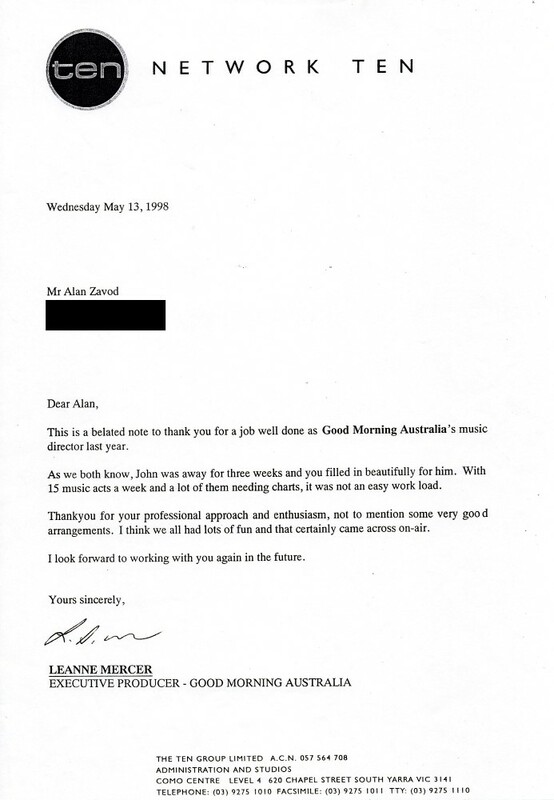 "Thank you for your professional approach and enthusiasm, not to mention some very good arrangements. 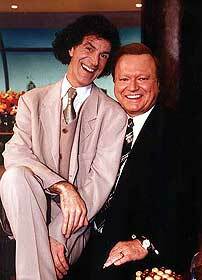 I think we all had lots of fun and that certainly came across on-air".